With hockey season and the holiday season upon us, it's time to make your holiday gifting game plan! 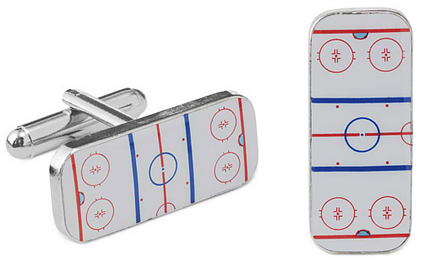 We have scoured the internet to find some of the more creative ice hockey gift ideas for your favorite ice hockey player this season. This piece of art is created with a recycled hockey stick. It's practical, functional, and adds a sporty touch to any room. 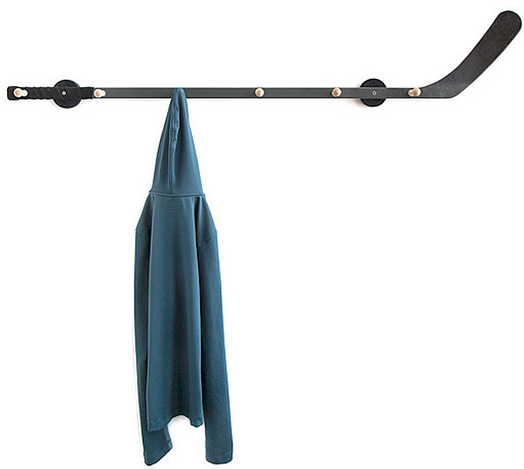 Take away the temptation to throw hats, coats, and backpacks on the floor with this handsome crafted coat rack. The best part is that this is a gift they can take with them whenever and wherever they move. Fun gift for hockey fans young and old! It's conveniently oversized so you can eat soup, cereal, ice cream, and whatever else using it. 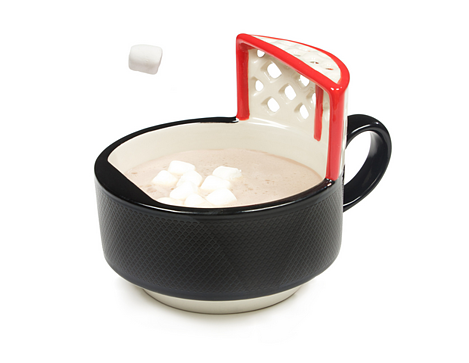 The mug is also ceramic and dishwasher safe for easy cleaning. A full-sized hockey net can help your hockey star practice in the off season, get in extra practice, or just have fun shooting with their family and friends. You can buy a full-sized hockey goal or a mini goal just for fun. 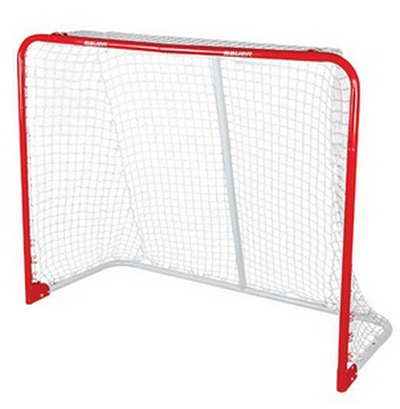 There are many sites that sell hockey goals, so shop around, but here is one to get you started. 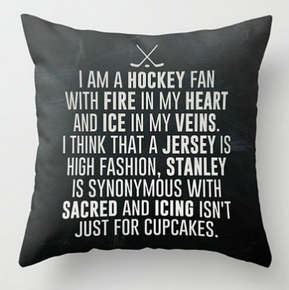 From the crazy and spirited to the subtle and sleek, you can find a piece of hockey themed artwork or print to match any personality or age. To make it a meaningful gift, you can search for handmade wall decor on Etsy, the marketplace for all things handmade. Many items can be personalized to fit the recipient's style and room. 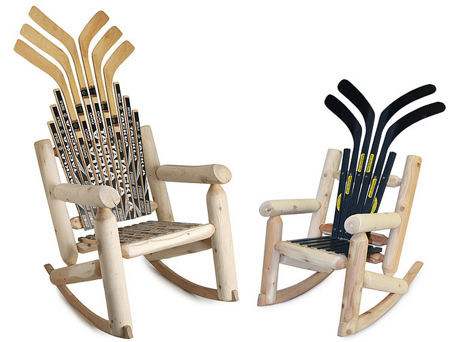 These unique chairs are crafted with hockey sticks, and you can buy them here. This is one of the more expensive items on this list ($340 - $450), but they are definitely an item that your hockey player will treasure for many years. The chairs are handcrafted and are made with recycled hockey sticks. 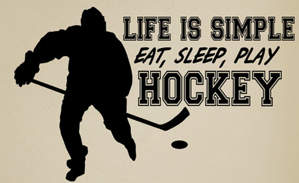 Let’s face it – players just want to be on the ice. So they can use a lot of extra gear, letting them change on the fly. When a player can pack for a competition or game without worry of laundry, the world is a wonderful place. An extra hoodie or dry-fit tee would be most appreciated by your hockey player or coach. Keep them warm and dry on the ice with a new warmup jacket and pants. Warm ups are also important for preventing injuries such as pulled muscles. If their hockey team doesn't provide a lot of gear for the players and you know that others are interested in ordering more team branded gear, you can talk to the Team Parent or coach about creating an online store where players or parents can order team gear. It takes 5 minutes to set up and would be a great idea to help the team fundraise around the holidays! 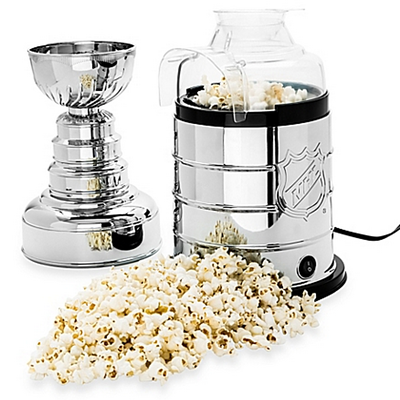 Help your favorite hockey fan watch the NHL playoffs in style. Popcorn is an easy, fun snack to eat while watching the games with friends or family. A great, functional conversation piece for the kitchen that makes a delicious snack - what more could one want from a gift? 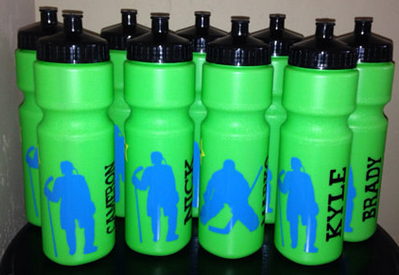 Never make them forget which water bottle is theirs on game day or at practice again. Order them a personalized water bottle - some companies will even print their name and number on the water bottle. By bringing their own water bottle to practices and games, they won't be tempted to share with their teammates which can prevent colds from spreading. 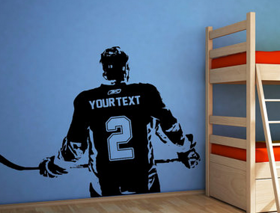 A classy gift for your mature hockey player or fan. They would also be an excellent end of the season appreciation gift for a coach. Hockey cufflinks make a great gift that they will treasure for years to come. I hope you found this list of hockey gifts useful. Maybe this will be the year you get all of your holiday shopping done early!